Application: Machine Tool, SPM, General Engg. Food and Processing Industry etc. 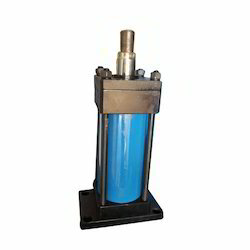 We are one of the leading manufacturers and exporters of Hydraulic spares. Our comprehensive array includes Construction Tie Rod, which is widely used in assembly of heavy duty hydraulic systems. Our all hydraulic accessories are fabricated from the BIS, ISO and CETOP approved raw materials to ensure its long functional life. We have carved a niche amongst the most dominant names in this domain, instrumental in providing excellent quality range of Tie Rod Construction Cylinder. We offer our client an excellent quality range of Tie Rod Construction Cylinder, which are manufactured from high grade quality raw materials. These Tie Rod can be customized as per our precious customers specifications. These Tie Rod Construction Cylinder are widely known for its durability and quality. Application	. : Machine Tool, General Engg. Tie Rod Construction Cylinders (THM & TLM Series)Hydro Dyne THM series TIE ROD CYLINDERS are designed for rugged industrial applications conforming to ISO-6020/2, backed by many years of experience in manufacturing high pressure Hydraulic Cylinders using best quality materials. Owing to our proficiency in this domain, we are providing our clients with an optimum range of Tie Rod Construction Cylinder. 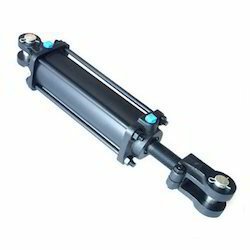 Our client can avail these Tie Rod Construction Cylinders at very reasonable price in market. These are manufactured from high grade quality material using latest technology. These are available in various specifications as per client requirement.